Read a integer value, which a natural number. Find the the number is a prime number or not. The input file contains a integer value. Print the number is a prime number or not. A prime number is a positive integer which is evenly divisible only by 1 and itself. Remember, 0 &1 are not considered as prime number. 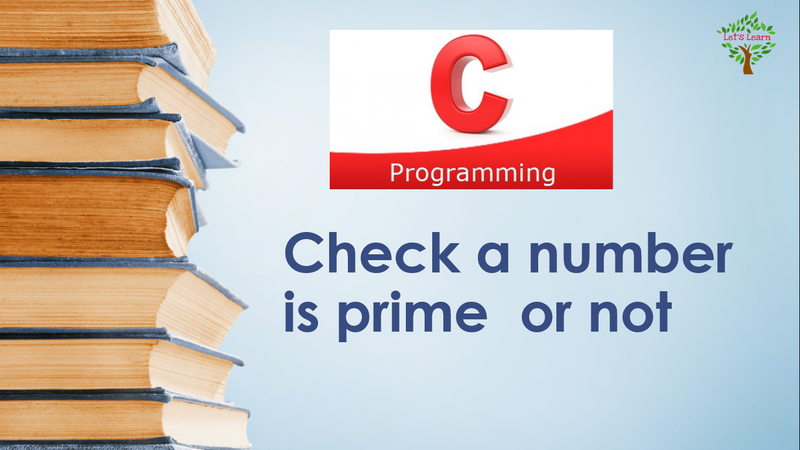 To check the number is prime or not, we will divide the number from 2 to its half and check if it is evenly divided or not.